NEXT PERFORMANCE: 3/5/10 AT "MY FLORIST" CAFE IN VENTURA, CA. 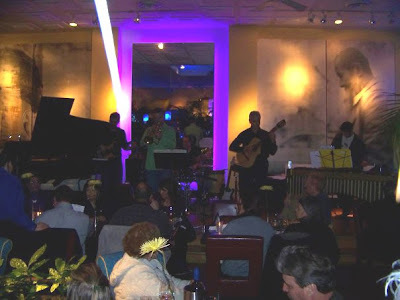 Luis Muñoz Jazz Sextet next performance: This coming Friday, March 5, from 7 to 10:00 PM at "My Florist" 76 South Oak St. in Ventura, CA. 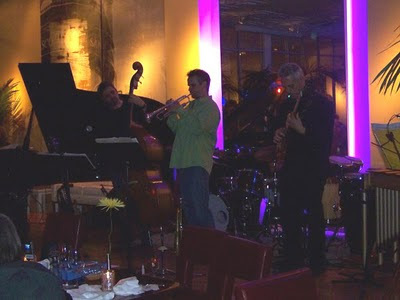 Featuring Jonathan Dane on trumpet, Brad Dutz on percussion and marimba, Tom Etchart on bass, George Friedenthal on piano and Narciso Sotomayor on guitar. For more info: (805)653-0003. Concert is FREE!!! FULL HOUSE AT "MY FLORIST" LAST NIGHT, THANKS EVERYONE!!! 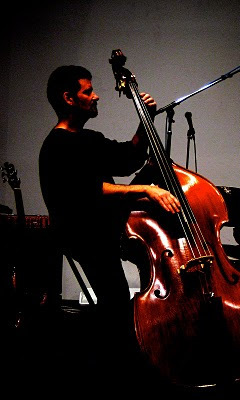 FREE JAZZ CONCERT TOMORROW FRIDAY IN VENTURA, CA! Just a quick note to remind you that tomorrow, Friday, February 19 I will be having the first of several free concerts, in celebration of the release of my new CD. This one will take place in Ventura, CA at "My Florist" Cafe and Bar, a wonderful( 76 South Oak Street, Ventura, CA 93001-2702. (805) 653-0003), from 7 to 10:00 PM. The concert is "FREE" to the public. I will be performing material from the new release, "Invisible", with a sextet featuring Jonathan Dane on trumpet, Brad Dutz on percussion and marimba, Tom Etchart on bass, George Friedenthal on piano and Narciso Sotomayor on guitar. For more info, you can visit my official web site (luismunoz.net). 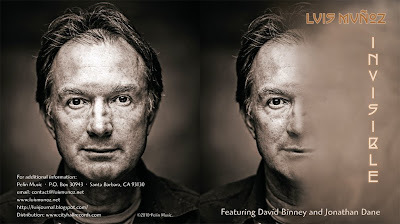 We will also be there on 3/5 and 3/19, and at Soho in Santa Barbara, CA on 4/29, at 7:00 PM. Remember, the concerts are free, so, first come, first serve. Hope to see you all. Best! Luis. 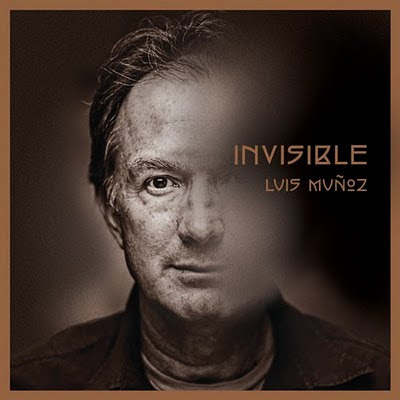 Although my new CD won't be officially released nationwide until March 16, it is already available exclusively at "Luismunoz.net". 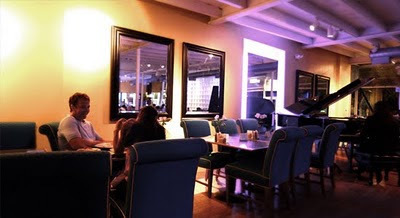 4/29/10 at Soho: 1221 State Street, Santa Barbara, CA. (805) 962-7776, at 8:00 PM. Hope to see you! Luis. RADIO INTERVIEW/KCLU/INVISIBLE CD ON NPR! I will be on my friend's radio program "Jazz Latino", on Thursday, February 11, at 11:00 PM, on KCLU 88.3 FM in Ventura county, CA, 102.3 FM in Santa Barbara county,CA. We will be playing some tracks from my new CD "INVISIBLE" and talking about it. KCLU is an NPR station. PLease join us!!!!! 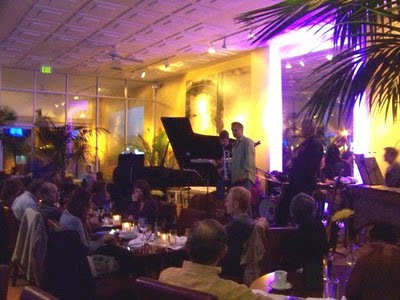 We are very happy to announce two more concert dates at "My Florist" Cafe and Bar in Ventura, the greatest Jazz Club/Restaurant in the California Central Coast. In addition to our CD release party on Friday February 19, we will also be performing on Friday, March 5 and Friday March 19, both from 7:00 to 10:00 PM. Please come and join us at this wonderful venue. As always, concerts are FREE!!!!!!!!!!!!!!!!!!! !